Carp fishing has progressed a lot in the last twenty years. It was not so long ago that a Carp weighing more than fifty pounds would make the front page of the angling times. In recent years the bar has risen with the influx of French fishing venues, that offer Carp a chance to grow larger in their warmer waters. Fast forward to today and you can see pictures of 172lb Carp on the cover of Carp Talk. 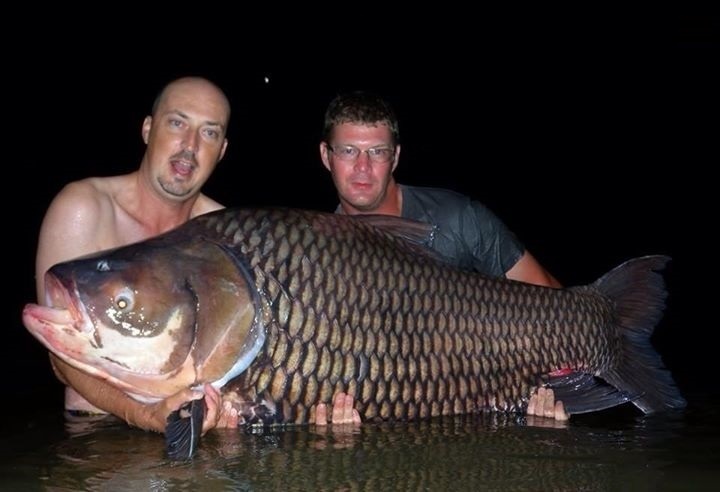 Yes you read that right, one hundred and seventy two pound Carp are an actual thing. 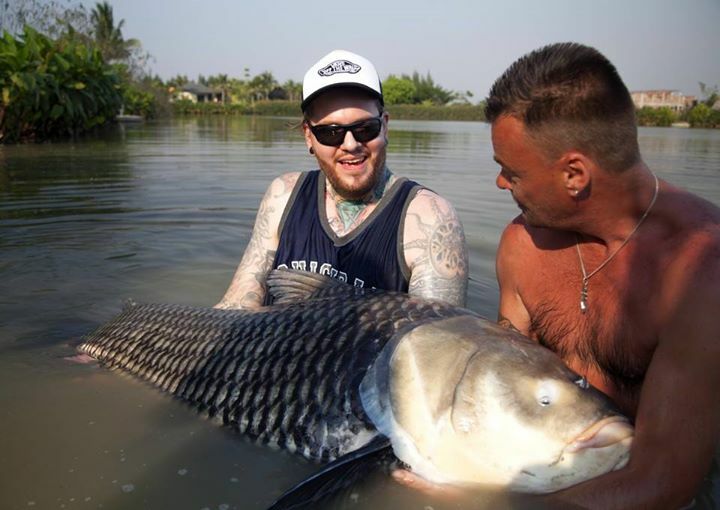 "Where can I catch these monster Carp" I hear you asking... Well, over the last few years, a number of fishing venues have opened up in Thailand. The hot climate and excellent water conditions in the rivers of Thailand allow for Carp to grow to insane proportions. Going fishing in Thailand might sound like a long way to travel, but you can be sure that its worth the effort. 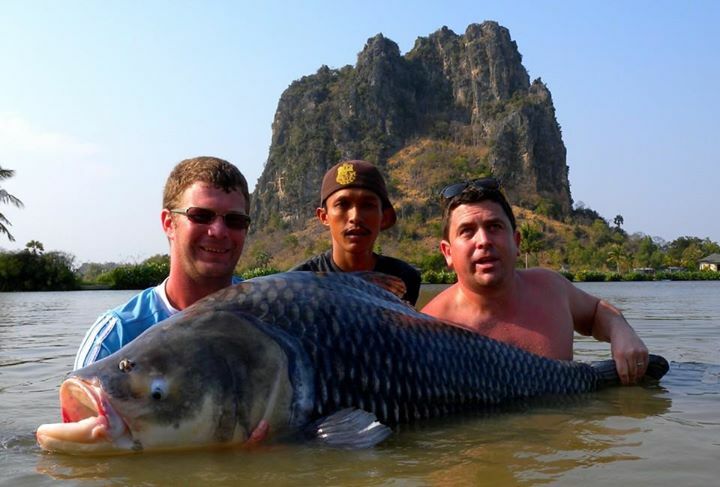 One venue that stands above the rest in Thailand is Jurassic Mountain Fishing Resort, its picturesque surroundings, incredible array of wildlife and monster Carp have made Jurassic Mountain the number one Carp fishing destination in Thailand. 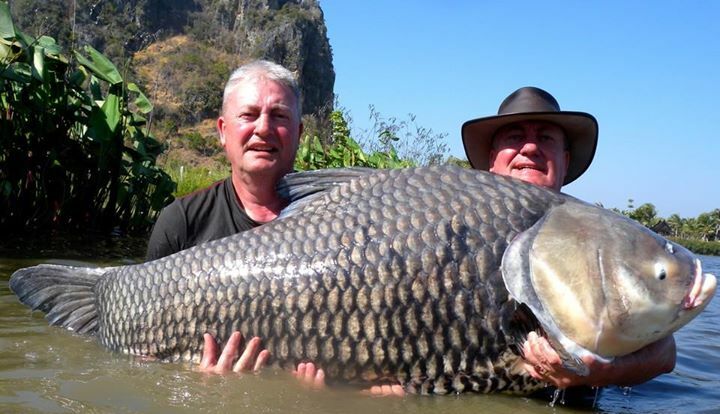 Jurassic Mountain has the honor of being home to the new world record Carp of 172lb. In addition to this, there is also a 168lb Carp, 152lb Carp and 12 other between 100-130lbs. These fish are not shy either, they are captured almost on a weekly basis (they just cant help but gobble up huge mounds of fishmeal pellets) and always put up an incredible fight. Most fights with these larger Carp last a minimum of 2 hours... Do you think you are upto the challenge of arm wrestling a huge Carp for 2 hours? Not many anglers on the planet can say that they have caught a Carp over 100lbs, at Jurassic Mountain you will stand an excellent chance of becoming one of those lucky fishermen that can boast about such a thing. Jurassic Mountain offers everything you will need to have the perfect fishing holiday in Thailand, the accommodation is excellent. They have a restaurant on site that serves both European and Asian food. All the equipment you need for fishing is supplied to you. All you need to do is turn up with your toothbrush. Since Jurassic Mountain opened its doors to the public, it has seen thousands of anglers break their current personal best Carp and many anglers have returned year on year. Flights to Thailand are cheaper than they have ever been in the last 10 years, its actually cheaper to jump on a plane to Thailand than it would cost to do a weeks fishing in France or Spain. Not to mention that the Carp are double the size of their European counterparts. If it gets a little too hot for you during the day, you can take a break in the swimming pool or enjoy a cocktail in the jacuzzi. There is also a masseuse on site that can give you a massage while you are fishing. You can even have all your meals delivered to you on the side of the lake, so you never have to miss a run on your rods. Have a look at the video below, it shows the capture of one of the big Carp in the lake. Its worth noting that these Carp put on between 10-20lbs in weight each year, so the fish you see in these pictures will be a lot bigger by the time you visit the lake. 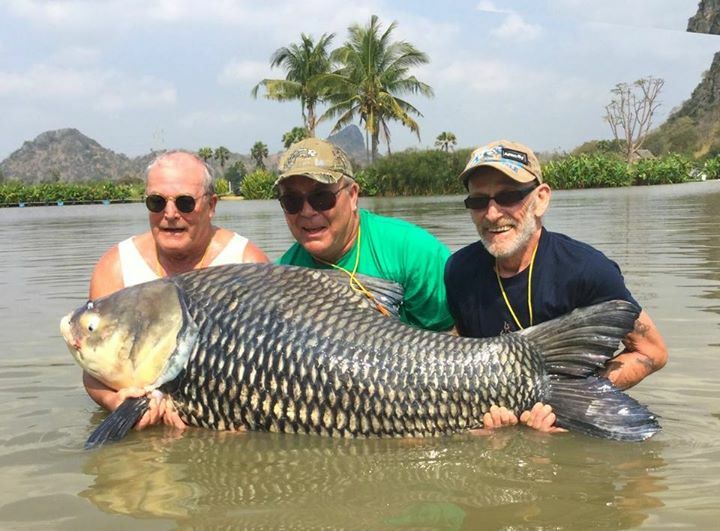 So, if you want to go fishing, why not go fishing in Thailand and make your dream of catching a Carp over 100lbs a reality.